Elyse Walker knows what she’s talking about. Elyse Walker knows a thing or two about shopping. 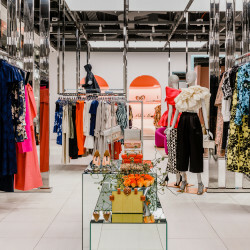 As the fashion director of FWRD by Elyse Walker, and her brick-and-mortar Elyse Walker boutiques, she’s created a curated selection of designers and pieces that we just can’t stop turning to every time we need....something. She’s proud of her edit (with over 300+ luxury designers, how could she not be? ), but she also understands how overwhelming the virtual purchasing process can be. 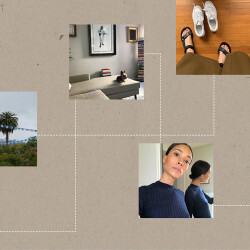 After talking to her about her amazing closet, I decided to also use the opportunity to ask Walker herself (who has been working in the digital shopping space since ’99) for her top tips for shopping online. Here are her six suggestions for making sure you’re buying the best pieces possible instead of impulse-buying whatever you see first. If something is sold out in your size (and especially if a site offers free shipping and returns), it’s worth it to go up in size, just in case. People get caught up in feeling insecure about these things, but it’s just a number! I’ve done this a couple of times if a piece I really want is sold out in my size, and have realized that four things can happen: 1. It’s too big and you return it; 2. It’s too big but will be great after it’s tailored; 3. It surprisingly fits just fine; 4. It’s perfectly oversized. In order to truly expand your wardrobe, you need to buy things you don’t already have. Instead, look for something you love but maybe wouldn’t typically buy, and ask yourself why that is. If you can’t come up with a good enough reason, take the plunge! You’ll most likely end up with a statement piece that’ll bring out the best in everything else you own. Take a look every season and think about what works best for you, especially if it isn’t the most popular thing out there at the moment. I find if everybody is already wearing something, I’ll opt for something else I saw on the runway instead. Wearing something that looks like it was made for you is the best way to stand out and is an instant confidence-booster. Sites like FWRD make shopping easy because they have so many great designers. But I’ll even admit I sometimes neglect the designers tab of a site and will impulsively buy a random piece instead. Of course I ultimately regret the impulse buy when I realize if I had just done a little more research, there was something by a brand that I’ve been wanting forever waiting for me on another part of the site. Sorting by designers helps eliminate this because you’re already going through the pieces you love and have already seen first. Walker has spent her entire career culminating relationships with the world’s greatest designers. She’s also been going to market forever and knows what is out there and what isn’t, so chances are the designers she has her eyes on are the ones you should watch and, of course, buy. If you’re looking to add something to your closet but you don’t know what exactly, you can always fall back on a great white shirt. It goes with everything you already own and everything you don’t have just yet, including that crazy statement piece Walker suggests investing in every season.